A bespoke data solution is appropriate wherever there is a requirement for delivering data in a form that is not directly available. If so a bespoke data solution could be the answer. This data and reporting solution was developed to meet a requirement to adjust the arrears figures to take into account late payments. 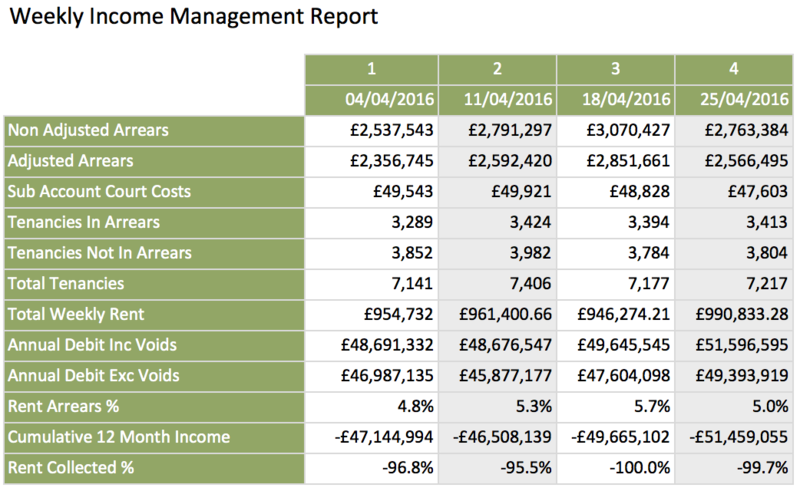 This adjusted data is simply not avilable within Orchard Housing, and cannot easily be acheivied using standard Business Objects reporting tools. Weekly and monthly rent accounts are included enabling reporting of the adjusted arrears over weekly periods along with the other calculated values and combined with arrears actions summary. This sort of report could not be acheived using standard data and reporting tools. The requirement here was to take snapshots of Orchard Housing person data to enable monitoring over time and report on data quality in terms of the completeness (ie existance of valid data values) of each data item. This included standard data such as Date of Birth, Ethnicity, phone and email contact details etc and also custom data help in Orchard BPM EDR tables. By extracting the data into SQL Server it was possible to combine data from the two separate Orchard databases into a single table and so easily report on the whole data set. In particular, the housing provider was interested into the impact of the customer census surveys they were undertaking, and were able to monitor this by taking snapshots before and after the surveys. A custom Business Objects was developed to provide easy to use reporting functionality, and several reports were created as shown in the example. This system uses existing rent payment data from Orchard Housing and applies an algorithm to evaluate the payment frequency and from that anticipated date of next payments. When expected payment are not received the report flags the period using colour coding to indicate the where there is a missing payment and whether is due soon. So in the example report shown, the red rows indicate a missing payment, while the orange row indcates a payment is due soon. 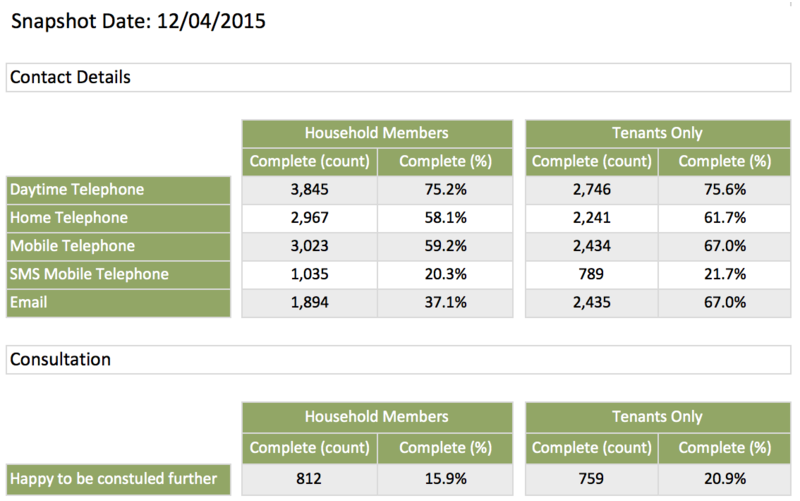 Additional parameters can be set to use a different colour coding to indicate where tenants in credit are getting close to being in arrears.